This magazine was the first project at Business Publications Corporation that I was the lead designer on. 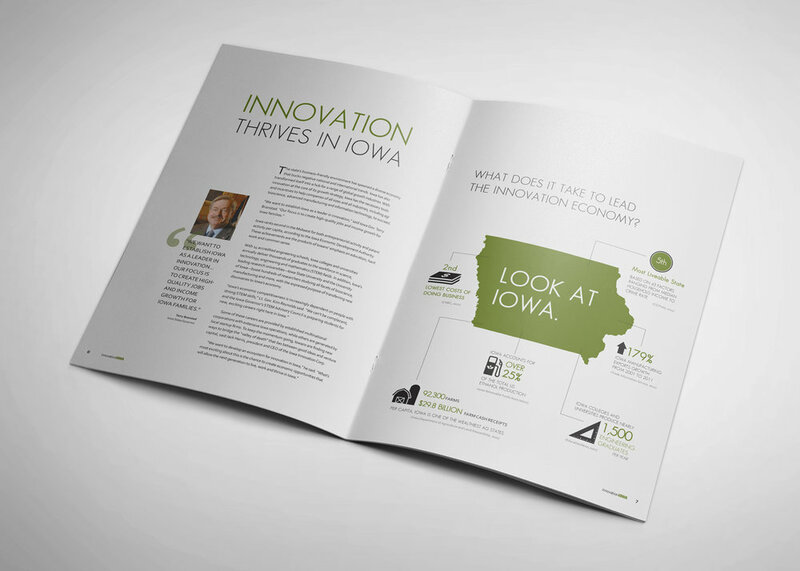 It was a new publication at the time, created to get the word out about the innovation in technology that the state of Iowa has seen for in the last few years. Working with the sales team and a contracted copywriter, I designed this 104-page magazine which consisted of multiple in-depth articles that highlighted Iowa company's and the groundbreaking technologies they are using. I also designed all of the advertisements for this piece, in order to keep the look consistent. After about a month of design and editing, the magazine was released in the spring of 2012. 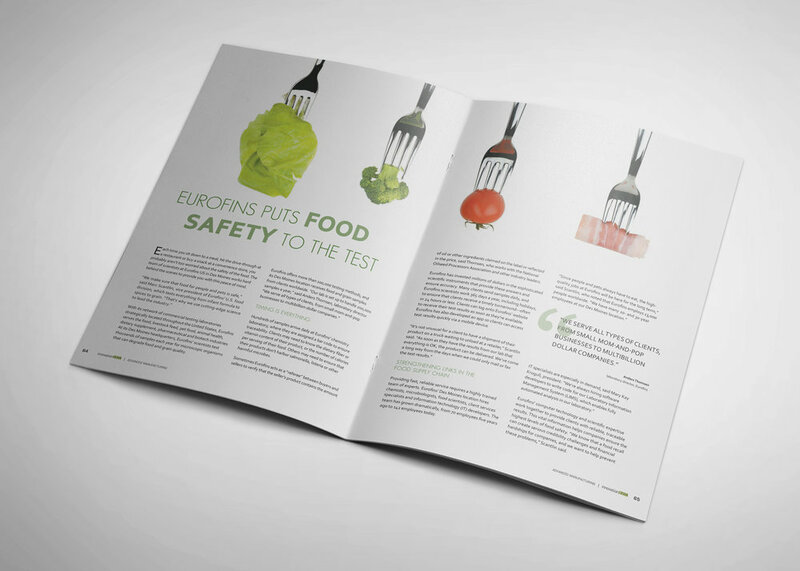 The product was incredibly successful and turned into a very profitable annual publication.